Two-day workshop. 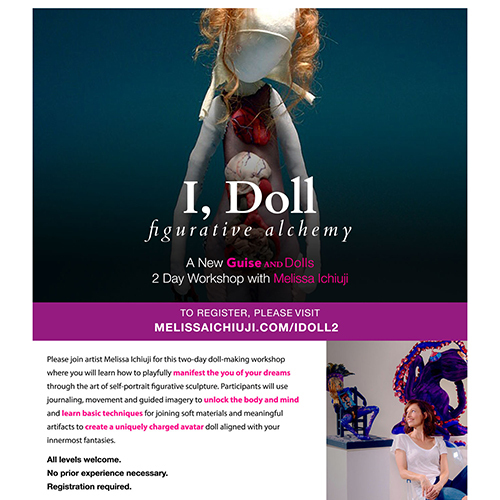 Express your secret self through the art of doll making. Playfully represent yourself through self-portrait figurative sculpture. All materials and lunch provided. Beginners welcome.